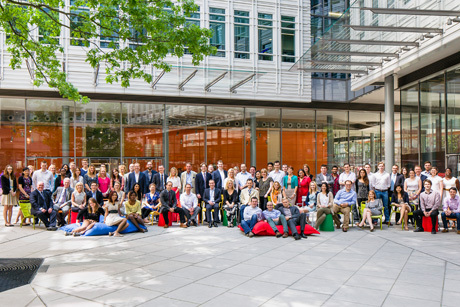 Judges were impressed with Burson-Marsteller's supportive approach to staff, which makes it an outstanding place to work. All employees have a performance development plan that helps them to achieve their career goals. In addition to a six per cent pension contribution, income protection and private healthcare, the company provides benefits such as free breakfast, various discount cards, subsidised massages, a Friday afternoon drinks trolley, and regular social events. 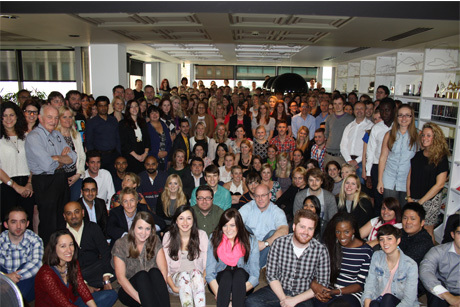 Staff have the opportunity to spend three months working in another EMEA market. Employees work 40 hours per week on average, with 35 contracted hours. In the past year, 25 internal staff members were promoted. The agency has an impressive training programme which offers coaching in areas including media and research skills, crisis management and cutting-edge digital skills. Managers receive training that teaches them how to motivate teams, deal with difficult management situations and influence upwards effectively. The company encourages employees to take a day off for charity work under its B-M Gives Back scheme and holds an annual '1 Week 4 Kids' fundraising event, which saw the team take children to the Houses of Parliament and teach them about persuasive writing. Every year there is an EMEA-wide survey of staff views. Each office gets the breakdown of its own results so the leadership team can act on them. Junior staff meet regularly with a senior manager to make suggestions for improvements. 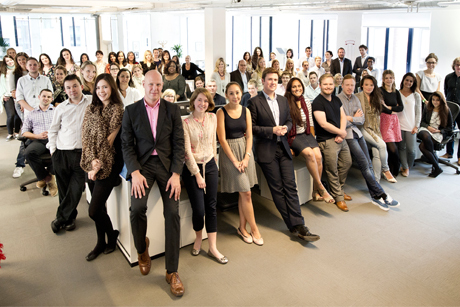 Edelman was listed as the highest-ranked PR agency in this year's The Sunday Times 100 Best Companies. The agency runs an online distance-learning scheme for its employees called the 'Belt System', teaching social media, trans-media storytelling and community engagement principles. Passing the exams set at each level to earn martial-arts-style 'belts' is an integral part of promotion. The system also allows managers to track how well and quickly new knowledge is spreading throughout the organisation. There is an annual training programme, which focuses on core PR skills, leadership skills, soft skills and wellbeing. The agency promoted 126 staff members in the past year. Benefits include private healthcare, performance-related pay and membership of trade bodies. Fleishman-Hillard's training scheme includes sharing best practice and external sessions on managing accounts, personal and digital skills. Groups are based on skill level rather than job titles. 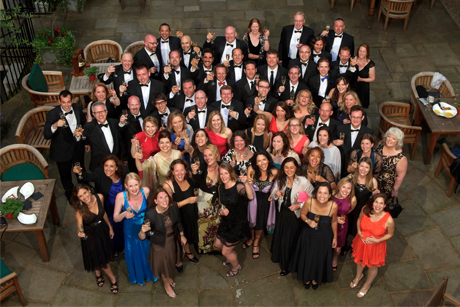 The agency's management leadership programme is based on Harvard Business School cases. Each year a number of senior managers are sent to the Omnicom Senior Management Program in Massachusetts. Last year, Lewis PR reinvested more than 80 per cent of its profits back into the business. This was partly spent on staff training. The agency has a six-month employee development academy programme that fast-tracks graduates to account executive level, while a sister programme helps account managers to move up the career ladder. Lewis PR encourages international inter-office visits and provides staff with benefits such as share ownership and private healthcare, as well as iPads, iPhones and laptops. On top of up to 30 days' holiday, their birthdays and the days between Christmas and New Year, employees can take off two days a year to work for charity. An employee satisfaction survey is carried out every six months.